With years of experience in Primary, and now Pre-School education, Harp Academy is the ideal partner to help you launch music making in your nursery. Give Richard a call for an informal chat. There’s no hard sell. What works in one setting doesn’t automatically apply to the next. One nursery’s budget, staffing and curriculum will be different to another’s. You can talk these points through with Richard in person or over the phone, and assess whether the harmonica is right for your environment. You will find Richard’s contact details here. In a typical Pre-School scenario, children are taught harmonica for half an hour in groups of up to eight. Ideally we’d aim to spend an hour or so on site, with a five minute break between groups. 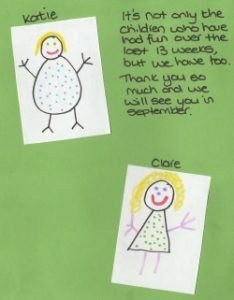 We’d also need a nursery team member to support each group. Our teaching rate is £50.00 per hour pro rata, payable monthly in arrears against our pro forma invoice. Your Harp Academy teacher will provide their enhanced disclosure DBS and update service documentation, together with photo ID and public liability insurance certification. Harp Academy staff all have emergency first aid training, safeguarding awareness training, prevent duty training, child protection in music training, and anti-bullying awareness. Harp Academy is happy to provide references, copies of its generic risk assessment, child protection policy and data protection policy. 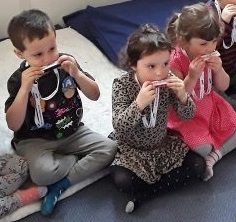 To get things underway, you should budget one starter harmonica per child (approx £4.00 per unit), plus a couple for your helpers. 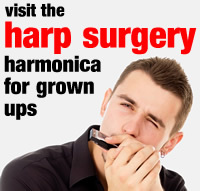 Harp Academy will service and supply the harmonicas for you. These then become the property of the nursery and are kept on site. At the end of our programme, children can keep their instruments as a memento while you re-order stock. Alternatively, you can sterilise them in preparation for future users. Harp Academy supplies the same number of safety lanyards free of charge. These are clipped to each harmonica to prevent drops that may damage the instrument. It’s then a matter of establishing a suitable weekly slot and deciding how many sessions you’d like to run. We would normally deliver ten to twelve sessions per group per school term. 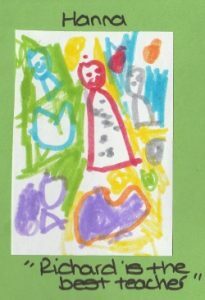 If you wish, this can culminate in a short playback to parents. At the end of our programme each child will receive a harmonica certificate. When you’re happy that all the necessary ground arrangements are in place and Harp Academy stands up to scrutiny, it’s time to put everything to the test. Richard will provide a free harmonica demonstration for your pre-school children on site and, if this matches everyone’s expectations, we’re ready to launch your programme!